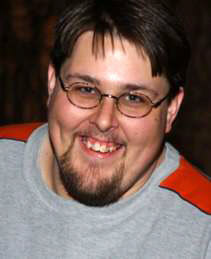 This week I had the extreme pleasure of visiting with Lou Mongello on the WDW Radio Show. The segment focused on the often wondered about, often rumored about, and history filled island in the middle of Bay Lake. From Raz Island to Discovery Island and all the dreams in between, we touched on just about anything we could think of. My fascination with Treasure/Discovery Island isn’t just because it is located on Bay Lake near my beloved Fort Wilderness or because of my strong conservation beliefs. It is also because my family has a personal connection to the island. 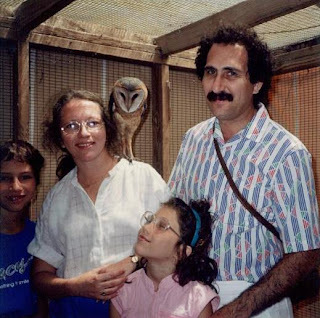 In the late 1980s my Aunt Suzi and Uncle Gene, along with my cousins Nic and Alexandra, rescued a baby Barn Owl, whom they named Owlen and, well, rather than butcher the rest of the tale I’ll let my cousin Alexandra relate the rest of the story to you. Dad found her one day while mowing the lawn. She was on the ground, having fallen out of its nest in a tree above. She was really, really young--she didn't even look like an owl. Since she was still alive, Dad brought her inside and mom called the Game and Wildlife people in the state of Florida. 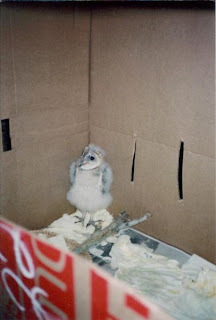 They told us that "runt" owls often get pushed out of their nests by their bigger owl siblings. The Game and Wildlife people basically seemed uninterested and said that the owl would not live through the night. She did, so the next day, my mom went and got a book on keeping owls alive. Mom found out she had to feed the owl a pleasant combo of raw meat and dog hair, so she could regurgitate. (Owls throw back up bones, feathers, etc. That's called owl pellets.) As she got older we fed her frozen mice (we'd thaw them in the microwave!) and then finally alive mice. There was nothing wrong with her, but the conundrum was that we could either leave her to die or habituate her to humans. My parents chose the latter. I don't think that in the beginning they ever really expected her to live. At first she lived in the house, but as she got older (and wilder) my parents kept her on the screened in porch. We really only had the owl for 6 or 7 months though. A full size owl is a pretty difficult thing to keep around. She was sweet, but she had big talons. It's not like you can go on vacation when you have an owl, either. ("Hey, want to come over and feed my carnivorous predator small, live mice?") 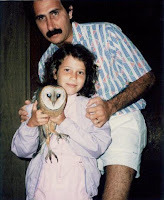 It wasn't practical to have an owl, and again, I don't think my parents ever expected her to live -- it was one of those things that just sort of happened. We gave her to Discovery Island because Keeni worked at Disney, and we knew through her that Discovery Island took animals. I remember when we dropped her off-- Keeni came with us and both my mom and dad cried. (I'd never seen my dad cry, so that day really sticks out in my mind.) While they were saying goodbye, Keeni took Nic and I, and we walked around the island. After that, we went back to visit her sometimes and we got in free. (We just told them who we were and they'd let us in.) Also, they always let us back into the back section to see her after we gave her to Discovery Island -- that was really important to my parents. Don't forget to check out the WDW Radio Show, this week and every week! Ryan, it was a great pleasure having you on, looking back (and forward) and just having fun talking about Discovery Island! Thanks for joining me and hope you can come on again soon! Ryan, great segment - congrats! I'm a huge fan of Lou's work (aren't we all) and you were a welcome addition to the show. Thanks one and all. It's always nice to hear good things about yourself, but it means even more when it comes from friends! I can't wait to hear your segment this week - and thanks for the interesting story too! Fantastic! That's an incredible story - very cool. 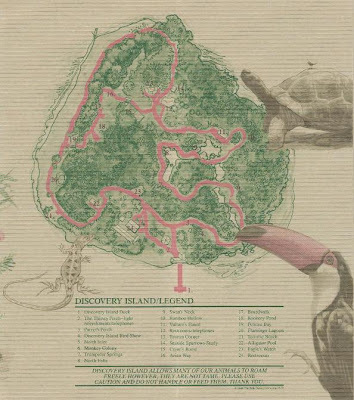 I got to go to Discovery Island once, in 1980, and all I remember is that they had parrots, Galapagos tortoise, and that we took a picture of a huge spider that was just hanging down in the middle of a pathway. While your segment on the show didn't bring back a lot of memories per se, it did make me want desperately to see the island put to some use. What an incredible thing it could be! Also, thanks to Lou for introducing me to a great Disney blog I hadn't found before!